Inspired by Michael Portillo’s latest BBC Two travelogue to explore the USA’s ‘Last Frontier’ by train for yourself? Rail holiday specialist Ffestiniog Travel has created a tailor-made tour that follows in the presenter’s tracks, covering the entire Alaska Railroad and taking in famous attractions such as Denali and Kenai Fjords National Parks. This 15-day Alaskan odyssey costs from £10,660 pp (two sharing), including flights (to Seattle/from Anchorage), B&B, two lunches and two dinners, plus rail travel, private transfers and excursions as per the itinerary. Call AITO* member Ffestiniog Travel on 01766 512400 (www.ffestiniogtravel.com). Catch up on the Great Alaskan Railroad Journeys on iPlayer here). *AITO is The Specialist Travel Association: more than 120 specialist travel companies providing an unrivalled collection of holiday ideas that cover every corner of the world. Consumers booking with AITO can be assured of high-quality holidays and excellent personal service. Visit www.aito.com for further information. Wow, but out of my budget by a country mile! 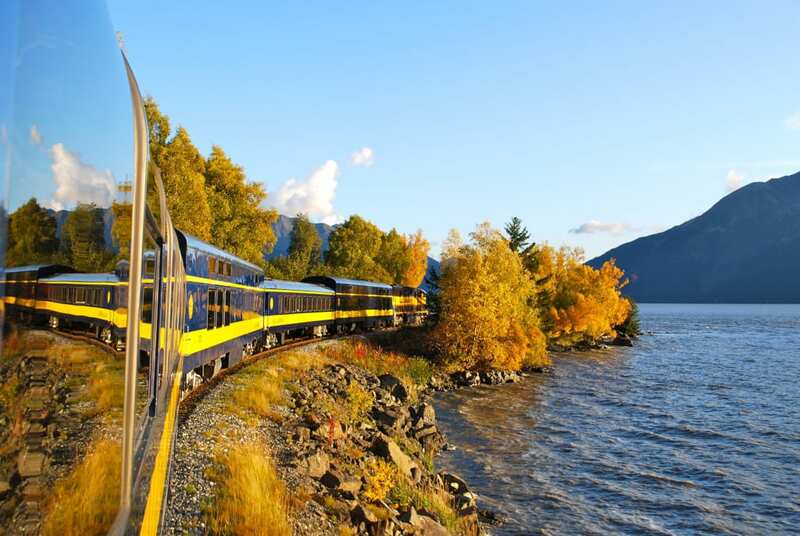 Something I have always wanted to do: travel Alaska, Siberia and Canada by rail. What a great way to see the open wilderness. I know it looks amazing, doesn’t it?